With the Indian Football team ranked 141st in the FIFA rankings, it is at times hard to believe that the team was once considered the finest in the Asian continent. They were regular podium finishers in Asian Championships and consistently qualified for the Olympics. While a lot has been said about the lack of funds and sponsors and the various reasons for the downfall of Indian football, it is necessary to delve a little further into why we find ourselves in this predicament. Having passionately followed both foreign as well as Indian football for around 15 years , it is perhaps pertinent that I share some personal reflections on the reasons behind the current sorry state of affairs in Indian Football and suggest some probable solutions, with substantial reference to the recently concluded I-League. The total lack of knowledge and the general sarcastic attitude about the domestic football scenery is a problem that needs to be eradicated immediately. The average young football-lover (or enthusiast) is blindly in love with the likes of a Barcelona, Manchester United, Real Madrid, Chelsea, etc. So much so that they will spend hours talking about their “adopted” clubs, and identify themselves as being a part of these clubs, using the pronouns “we”, “us” and such like with tremendous regularity. 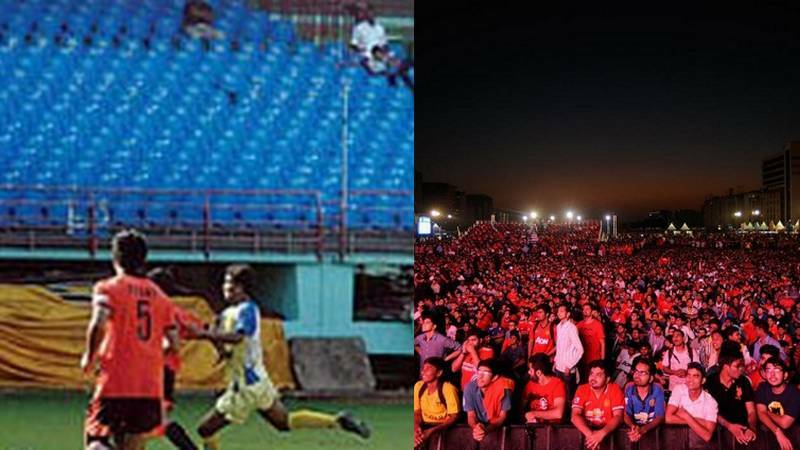 They will find time to stay awake all night to catch “their” club in action, but will invariably fail to devote a couple of hours on a Sunday evening to catch some I-League action, where indeed, “their” club might really be in action. Moreover, they will also poke fun at anyone who cares to passionately follow Indian football, vehemently stating that they consider it below their “standard” to watch it. Some even opine that they will indeed start watching Indian football, but only after the team has achieved enough laurels, (so that they can maintain their “standards”). While this article is not at all against watching foreign tournaments, in fact, the author himself follows them with keen interest, but the hypocrisy of watching only the foreign tournaments while totally ignoring and insulting their Indian counterpart is extremely unfortunate and intolerable. Nevertheless, there is still a small percentage of people who somehow manage to find some time miraculously from the busiest of schedules to catch all the action of “their” team (and indeed it is) live from the stadium itself. It is high time that we all rally around our domestic football circuit and give it the support that is so important in terms of the financial aspect. Once the money starts flowing in, only then can we start thinking about improving infrastructure, and in turn, raising standards. 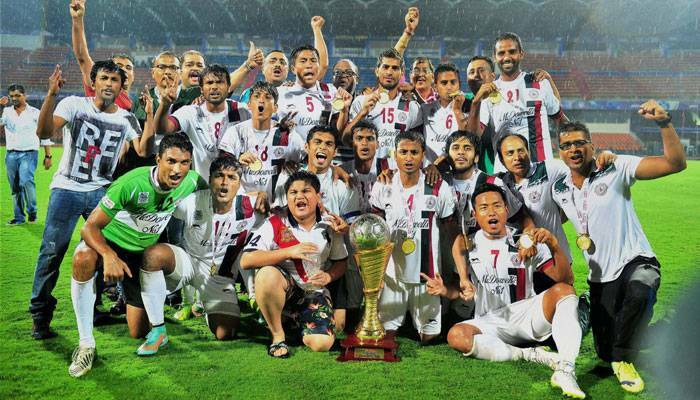 In this regard, it was heartening to see the joy of the Mohun Bagan supporters after winning the I-League this season. Life in the city had come to a standstill for a few hours during the team bus’ visit to the club tent from the Airport. Victory parades are pretty common in many countries, but for that to happen for a football club in India, is quite encouraging, and it is exactly this much joy that one’s genuinely “own” club can deliver. It is not only the number of important matches that are not telecast for which I mention this point, but also the absolutely appalling standard of coverage as well. In stark contrast to the coverage of the Premier League, La Liga, Champion’s League, etc, the quality of coverage of Indian football is extremely poor. The quality of pictures are not at all crisp and absolutely not soothing to the eye, camera work is flimsy, and the commentary, well, is the most shocking aspect. Till the 2013-14 season, the broadcasters had managed to rope in a contingent of British commentators and that had certainly worked pretty well, as the standard of commentary at least, had been quite inspiring and interesting. 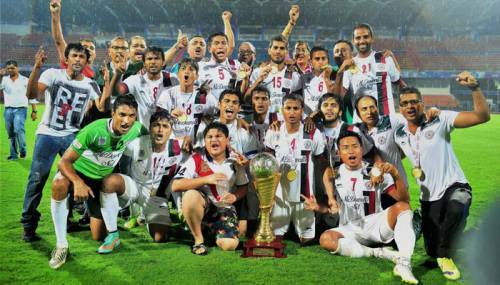 The commentary of the 2014-15 I-League season was utterly shocking. While it is understandable that the ex-footballers be excused for their lack of vocabulary and grammatical errors, the same does not apply for the main commentators, who commit inexcusable grammatical errors on a regular basis to go with their lack of quality vocabulary. It is sad to see that other than a select few, the quality of the pool of Indian football commentators is way off the mark. Regarding the camerawork and telecasting, too, not a great deal of good things can be said. 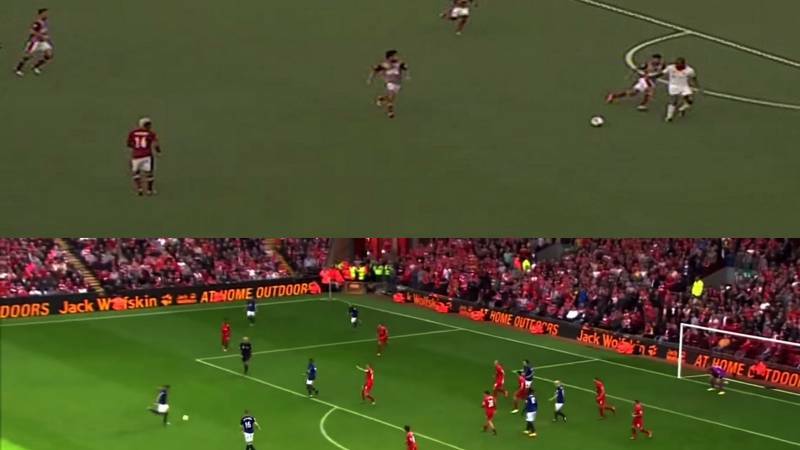 One would be constantly shown the image of a scooter when the match was at full flow (even the most exciting moments), or the replay of a shot that had gone miles wide would be constantly shown while the match had already resumed and a chance had already been created. Again, on certain matches, there wouldn’t be any replays shown at all. 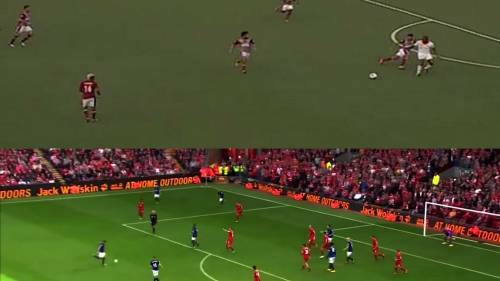 Quality coverage is quite essential for the common folk to develop a liking for domestic football. This is another issue that needs to be addressed. It is impossible for corporate teams like Dempo or Salgaocar to have a stable support base. The relatively recent idea of having city-based franchises like Pune FC, Mumbai FC, Bengaluru FC incorporated in the I-League has been moderately successful. Bengaluru FC has been the best in terms of performance as well as stadium-attendances. But then again, the signs are not the most encouraging for teams like Mumbai FC, who play most of their home games with very meagre crowd support, in spite of being a city-based franchise. Introducing more of such franchises may work wonders for the footballing scenario of the country, not only spreading the game to different corners of the country, but in turn, generating a wider pool of talent to select for the national team, which is always a healthy option to have. But to build a stable support base for such sides may, on certain occasions, take time. While the likes of Mohun Bagan, East Bengal, Mohammedan Sporting have a huge fan following because of their unique identities as well as the rich history behind them, city-based franchises may take some time to build a regular following. But, if incorporated, the number of teams in the I-League could possibly be extended and that, in turn would lead to a more competitive league, besides generating a broader supply-line of quality players. Besides, once supporters start identifying themselves with a club whom they can watch in action at the stadium itself, it is bound to generate a kind of craze that is absolutely the need of the hour. The Indian Super League (ISL) was a grand success in its first season no doubt. The standard of football was pretty good, the passion of the fans was exemplary at times. The reasons for its success are manifold. Firstly the charm of having World Cup winners, Champions League winners in itself had a tremendous effect. Secondly, the concept of all the teams being city-based franchises was a huge contributing factor for the tremendous attendances. Furthermore, the broadcast was pretty good - be it the quality of the images or the quality of commentary, things were quite up to the mark. I see no reason why the AIFF cannot take a leaf out of the ISL and build a much stronger, more appealing and more attractive base for the I-League and its other tournaments. The dream of playing in the World Cup may not be too distant a dream with proper planning and execution by the AIFF. The Blue Tigers, the sleeping giants of Asian football, could indeed become the best in Asia once again, and with luck, sincerity, hard work and the support of the nation, probably the best in the world in the years to come. I-League 2018-19: Could Khalid Jamil change Mohun Bagan's fortune in the second Kolkata Derby?